The Hoosier state also has its fair share of bigfoot sightings. 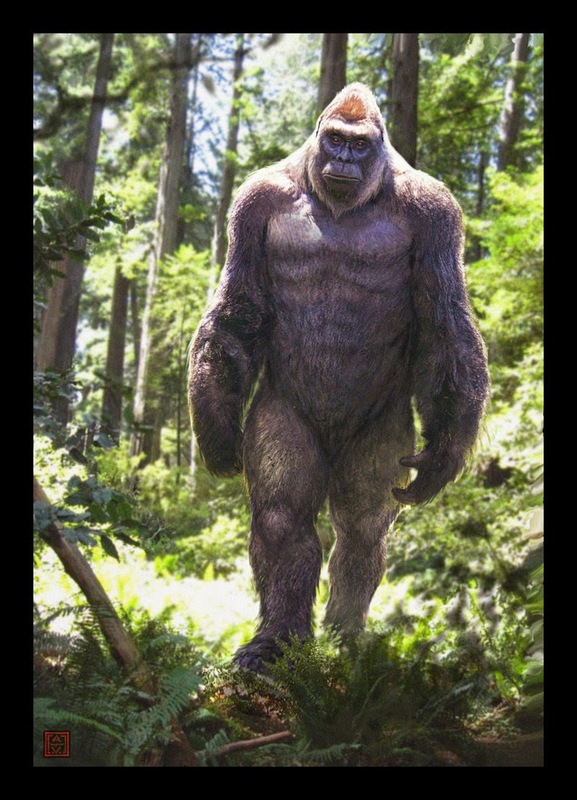 Here's a great article about some of the bigfoot sightings in Indiana. Matt, currently age 43, had an amazing experience in Fall of 1996. At the time, he was 21 years old. His folks had almost ten acres of land in the middle of hundreds of acres of forestland near the junction of the Wabash and Tippecanoe Rivers near Lafayette, Indiana. The family lived in a five-bedroom house at the end of a gravel road. There was a creek behind their house which ran into the Wabash River. Underbrush was, normally thick, but the family maintained a cleared-out area between their house and across the creek where they raised chickens and hogs. Nearby was a hill covered with cedar trees, saplings and dense underbrush — primarily raspberry bushes and vines. At the time of the incident Matt had lived here his entire life, with his parents, an older sister, and a younger sister and brother. The kids would frequently play in the woods in and around the house. In some of the open areas in and around the woods, they frequently found the longish grass pressed down, as if someone or something had slept there or had trampled the grass down. In these areas, there was frequently a strong, foul, sour odor. However, the kids became used to their surroundings and never really questioned anything. The family even became used to the strange feeling they were being watched as they would live and play in the area around their house and farm. Whatever was watching them usually stayed in and around the creek bed. Occasionally, it would get near the house. When that happened, the dogs would start barking, and the feeling of being watched and an outside presence would go away. One late summer evening in 1992, the family was enjoying some quiet time in the house. Other than talking and laughing, the only sound in the house was that of an attic fan running quietly. Suddenly, they heard a loud screech/scream coming from near the house. Mom and the two girls were very upset. What kind of animal could make such a loud, odd, sound? The family’s dogs started barking and whatever it was, went away.